Known as “Millenial Pink”, this color it’s the hue, not quite salmon but also not rose. 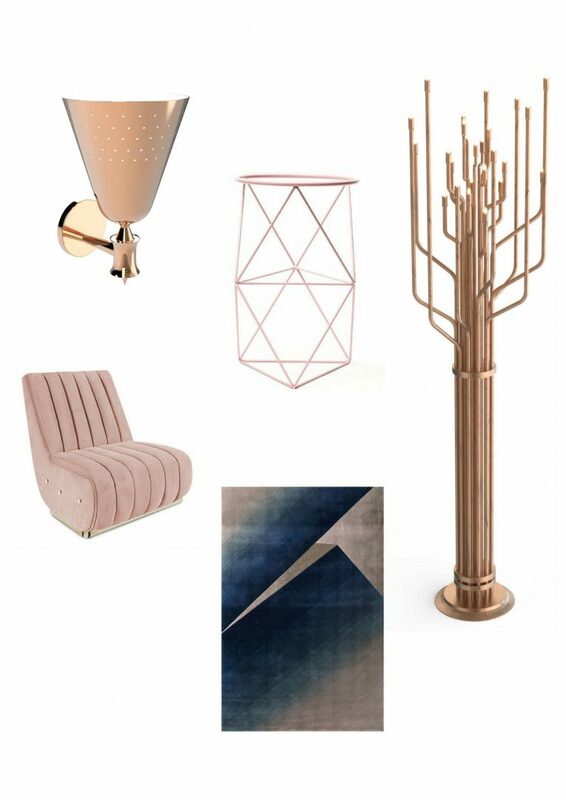 Diverting from classic, loud bubblegum pink, Millenial Pink is meant to make a statement. 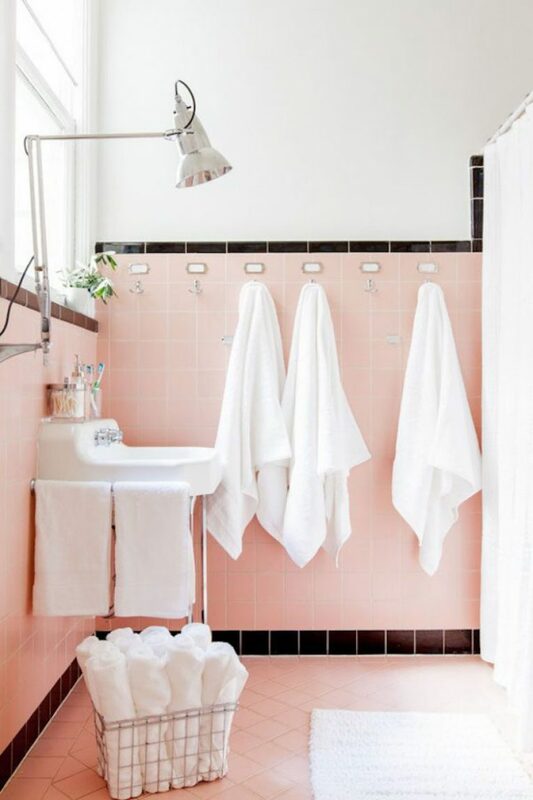 After all, a pale pink bathroom doesn’t exactly seem like the most subtle of design choices. 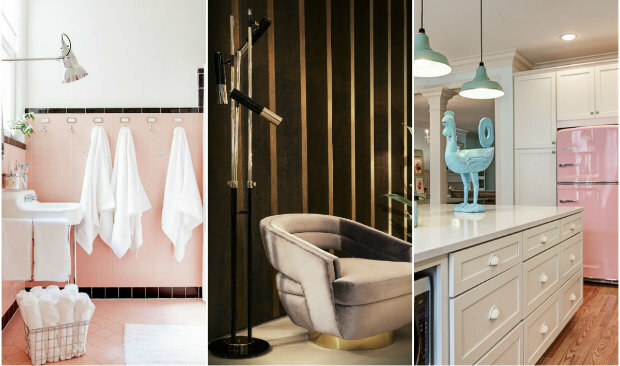 But when you keep the rest of the room fairly neutral it can be just the light pop of color that a space needs. 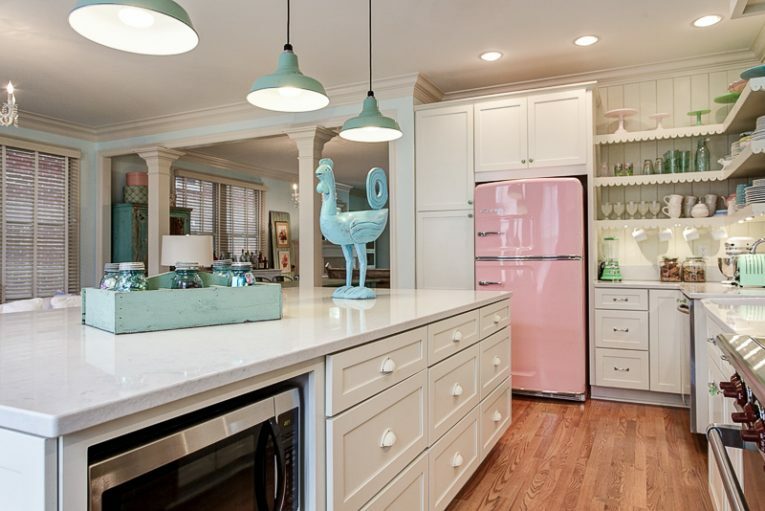 If you want to add a pastel pink touch to your kitchen decor, why don’t you choose one in a pastel shade inspired in the ’50’s? You can also go for a swivel chair. Loren Armchair is the perfect choice for your home decor if you want to add pastel pink in your home interior design. 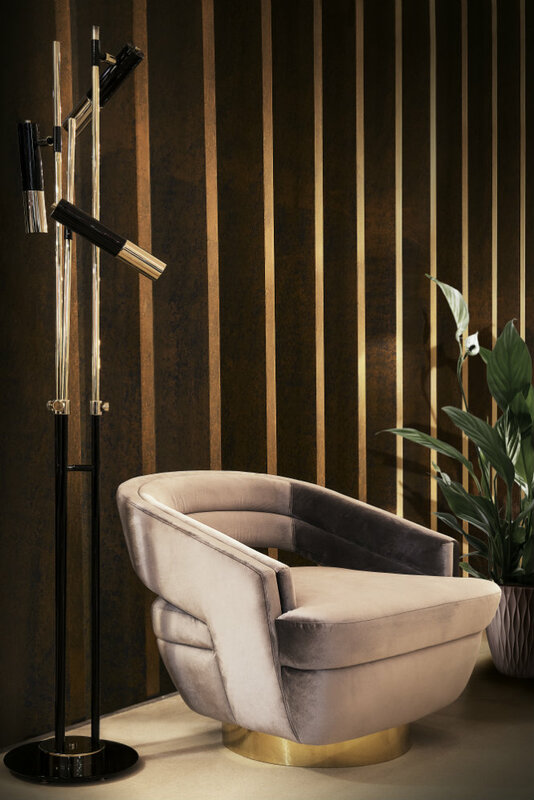 This armchair is the balance between the light and the dark, as the leather contrasts with a golden brass base to add a mysterious and classy touch. 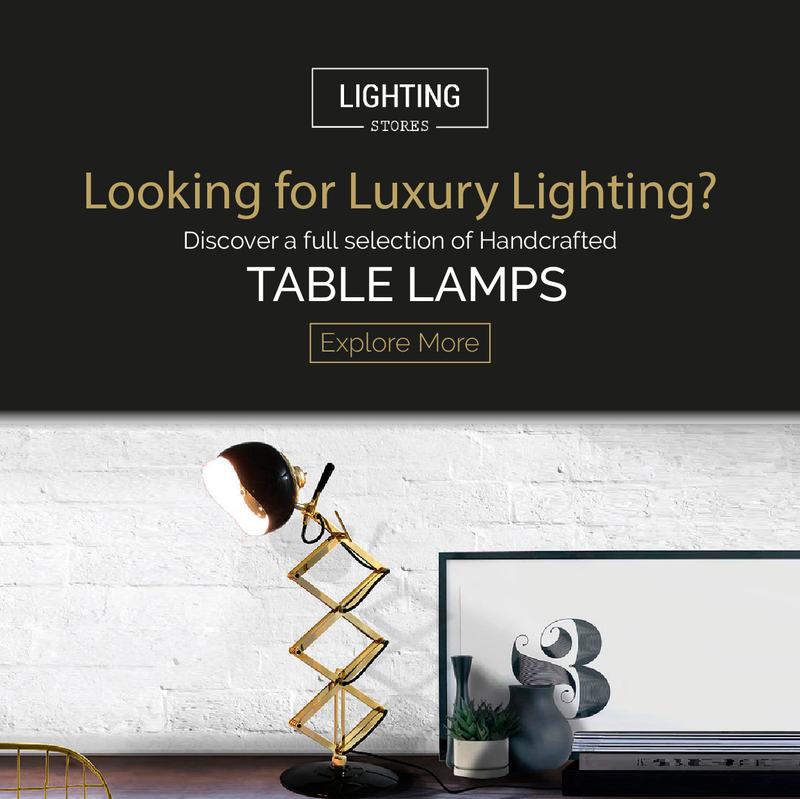 It looks perfect with Ike floor lamp! 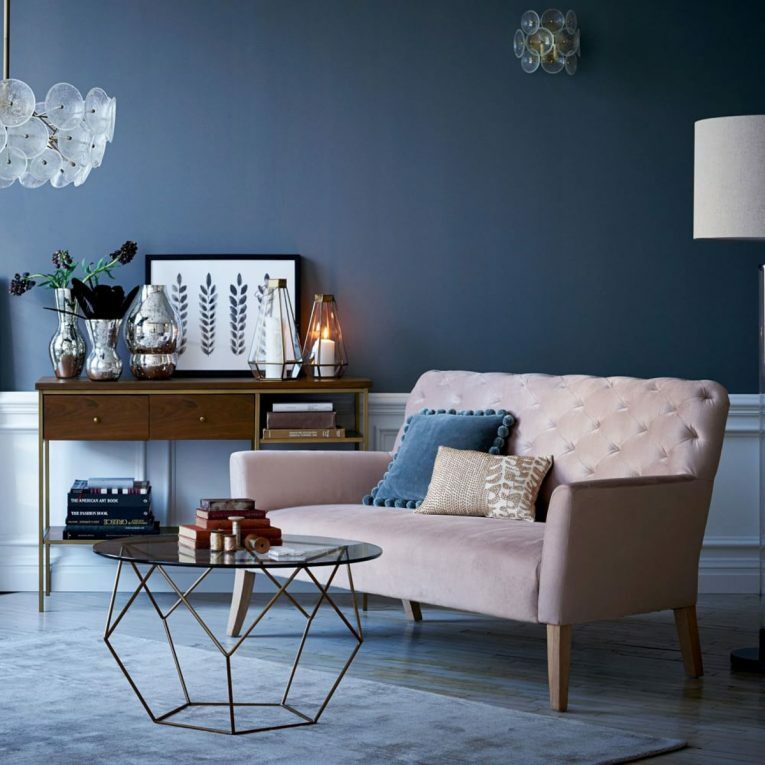 Pale pink can be mixed with Dusty Blue. The two colors go very well with each other- one can say that it’s a match made in heaven!